Welcome to Front Sight’s Patriot Membership. I named this Membership “Patriot” because the Founding Fathers would be proud to know that after attending our Four Day Defensive Handgun, Tactical Shotgun, and Practical Rifle courses, you are truly part of the backbone of your community and country’s freedom because you will wield these weapons with a confidence, command, and expertise that far exceeds those who carry a gun for a living. I’m not exaggerating. 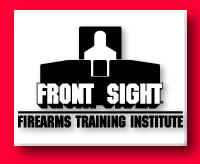 See our testimonials and watch our reality TV Series, Front Sight Challenge as positive proof that Front Sight training will improve your gun handling, speed, and accuracy far beyond 99% of the gun owning public. Such skill at arms coupled with the tactical training we provide you in the four day courses we offer, will leave you in control of your environment out to the practical range of your weapons. And I priced the Patriot Membership so every law abiding, red-blooded American can afford an endless amount of training with us. Two Day Defensive Handgun; Two Day Tactical Shotgun; Two Day Practical Rifle; Four Day Defensive Handgun; Four Day Tactical Shotgun; Four Day Practical Rifle. Why would you want to attend the Two Day and Four Day Defensive Handgun, Tactical Shotgun, and Practical Rifle Courses repeatedly as often as you like for as long as you like? Well how great do you want to become with ALL the different weapons you own? Each time you attend with the same weapon you will be training to continue to improve the balance between speed and accuracy. Each time you attend with a new, different weapon you will be training to become “one with that weapon” and master the ability to use it as an extension of your will. There is a endless combination of courses you can attend with all the different weapons you own. And when you are ready to upgrade into a higher-level, full-price membership, what you paid for your Patriot Membership can be applied directly to the cost of the higher level membership so you can’t lose! Guaranteed placement in your courses with two weeks' advance enrollment... No worries about whether your can "get into a course." As a member your spot is guaranteed. Just fax or e-mail your Application for Training prior to two weeks of the course date and you are in! Like everything else we offer, no other school can offer you such flexibility with your scheduling! Invitation to the Annual July 4th Front Sight Members’ Reunion Celebration... So you and your family can celebrate July 4th each year in a manner that makes our Founding Fathers proud! Name etched in future First Family Monument... So generations from now, your grandkids will know you were part of the patriotic group who built Front Sight! Password to access exclusive and restricted First Family areas of web site and e-mail forum... Now you can positively converse with all of our like minded First Family members! First Family card and First Family hat... Identifying you to all students and staff as a loyal and supportive patriot assisting us in positively changing the image of gun ownership in our lifetimes! The VALUE of a Front Sight Patriot Membership FAR EXCEEDS the Cost. As you know, the cost of a four day course alone at Front Sight is $2,000 and a Two Day Course is $1,000. If you were to simply attend each course in your Front Sight Patriot Memberships just ONCE, the value is $9,000! The most common words we hear students say after the FIRST DAY of their FIRST COURSE is "I cannot believe how much I did not know!" The most common words we hear from students after the SECOND DAY of their FIRST COURSE is, "I cannot believe how much I am learning!" The most common words we hear from students after the THIRD DAY of their FIRST COURSE is "I can't wait to bring my family and friends back with me!" And the most common words we hear from students after the FOURTH DAY of their FIRST COURSE is "I can't believe there is so much more to learn! 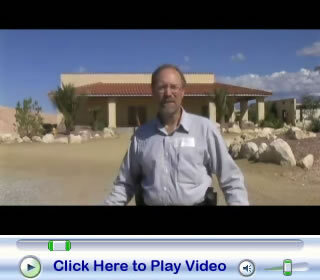 I'm coming back for every course on my membership and bringing a different gun each time!" So if you attend each course JUST ONCE (we know you will take multiple courses) you get $9,000 in value... If you attend each course multiple times with different weapons (which we know you will do as much as possible) the value of your Patriot Memberships exceeds $40,000! Why does this work for us? Because each time you return home you will tell everyone you know about what a great time you had at Front Sight and each time you return to Front Sight you will bring another family member or friend with you and help us grow our organization with great word-of-mouth referrals! So you are going to get anywhere from $9,000 to over $40,000 of value out of your Patriot Membership and we are going to get a lifetime of your good will, good words and great referrals! Everyone wins! ___ 90 monthly credit card payments of $88 for a total cost of $7,920. So choose which payment plan you want and call my office between the hours of 8am and 6pm PST at 1.800.987.7719 to enroll over the phone to secure your Front Sight Patriot Membership (this low payment plan is due to increase any day now and without further notice so call our office today) or use this Secure On-Line Enrollment Form. And remember, when you are ready to upgrade into a higher level membership, what you paid for your Patriot Membership can be applied directly to the cost of the higher level membership so you can’t lose! I look forward to seeing you at Front Sight as a Patriot Member! PS: If you are reading this after hours, complete the Secure On-Line Enrollment Form for immediate acceptance in the order in which it is received. PPS: To see video testimonials of your fellow students sharing how and why a Front Sight Membership has made such a positive impact on their lives, click on testimonials. All Front Sight Memberships offered in the past, the present, and future, including any special memberships not listed here, are NON REFUNDABLE.